Going out to dinner and a movie may be fun but it can get repetitive and boring if you don’t throw some other fun activities in the mix. Do you want to go on different kinds of dates but can’t think of what to do? We’re here to help. We’ve got 12 unique date ideas that you will love and will actually want to go on! So let’s get started! 1. 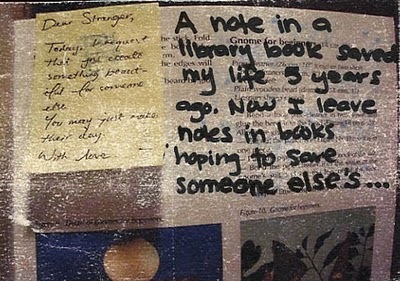 Visit the library and leave notes to future readers in copies of your favorite books. 2. Go to the airport, catch the cheapest, soonest departing flight you can find to anywhere, and spend the weekend there. 3. Sit in the park or a cafe and write a short story together taking turns adding to the story. If you get stuck, ask strangers to contribute. 4. Dress to the nines, pretend that you’re a rich, married couple and test drive every expensive car of your dreams at the auto dealership. 5. Become the ultimate tacky tourist, camera in hand, and do a tour of all the touristy places where you live that you’ve always secretly wanted to see. Have a blast getting to know your city or town a little better! 6. Drive to the beach just before the sun is going to rise. Have a breakfast picnic and then lie in each others’ arms watching the sunrise together.